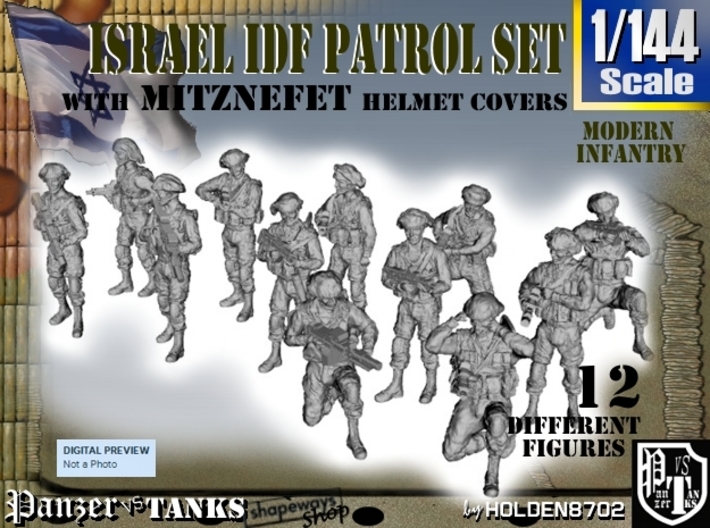 1/144 High detailed Modern Israel Infantry 12 Figures Patrolling Set. 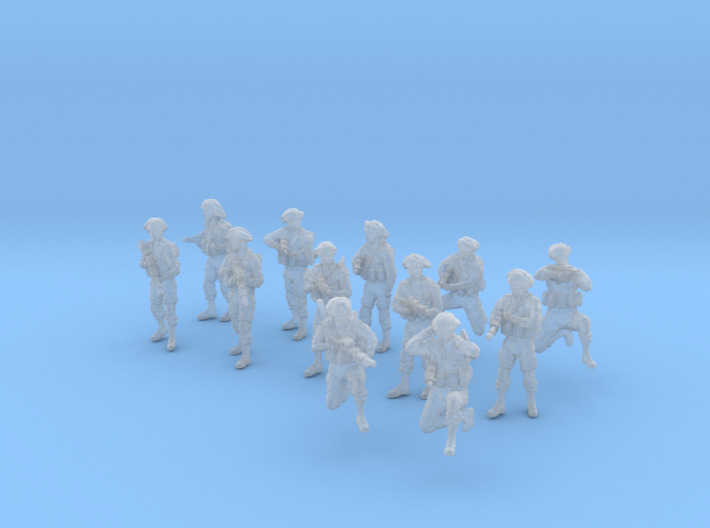 Figures are carrying CTAR-21 Bullpup Rifles, GTAR-21 with 40 mm. M203 Grenade Launcher device, or Negev NG7 Support Gun. I didn't added sprues (I don't know where to place them without risk of breaking the figure when will be removed!). Figures 12mm. - 0.49 inches tall when stands up.